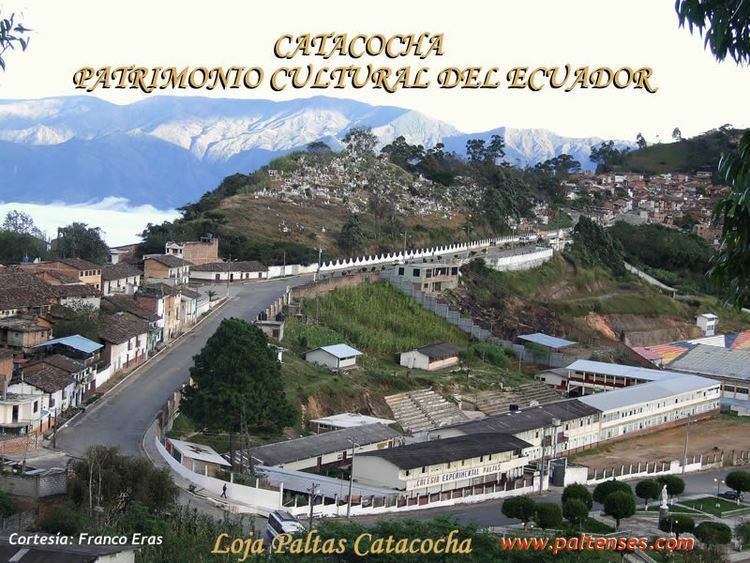 Loja (full form: Ciudad de la Inmaculada Concepcion de Loja) is the capital of Ecuadors Loja Province. It is located in the Cuxibamba valley in the south of the country, sharing borders with the provinces of Zamora-Chinchipe and El Oro, and with Peru in the south. Loja holds a rich tradition in the arts, and for this reason is known as the Music and Cultural Capital of Ecuador. The city is home to two major universities. The city has a population of about 181,000, and is situated 2060 m (6758 ft) above sea level. It has a mild Andean climate, ranging between 16 and 30 °C. The Pan-American Highway runs past Loja. 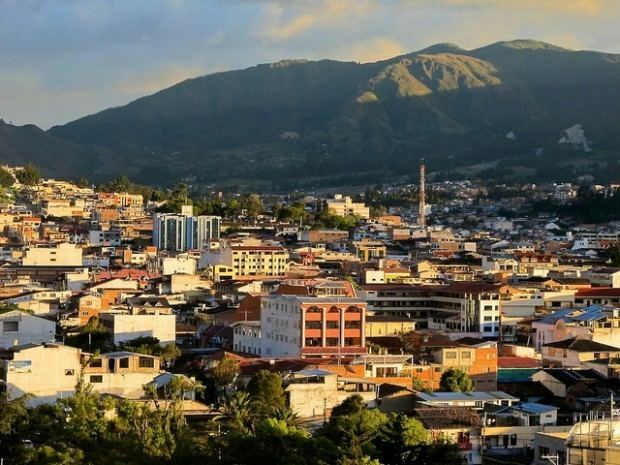 The city of Loja was founded by Field Marshal Alonso de Mercadillo in 1548, and it is named for his hometown of Loja in Spain. Originally located near La Toma in the Catamayo canyon since 1546, the city was relocated to its present location (about 35 km east) after a devastating earthquake and problems with Malaria. At nearly 500 years, it is one of the oldest cities in Ecuador. One of its founding-reasons for the spanish colonizers was to have a fortified town next to the region of Zaruma, which was in that time rich in gold. It was as well a departure point for the Amazon Basin to search for the mystic town of El Dorado. The city was also visited by Simon Bolivar in his campaign to unite Gran Colombia. It declared its independence from Spain on November 18, 1820. 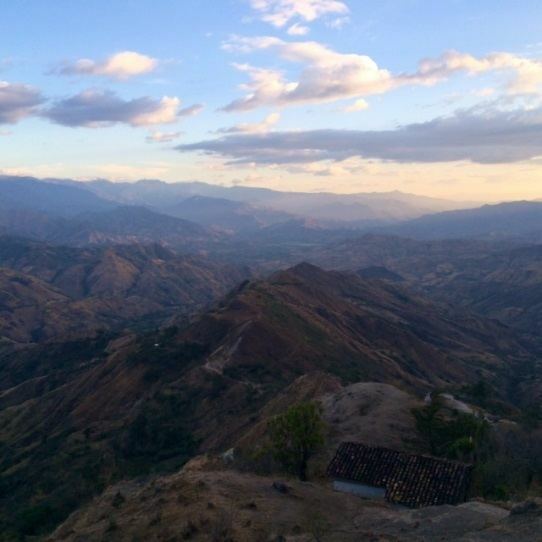 Loja is in the bottom of the broad glacial Cuxibamba valley. It lies between the humid Amazon Basin and the Peruvian sechura, and is composed mainly of paramo, cloud-forest, and jungle. The valley borders the Podocarpus National Park, which is a massive cloud-forest reserve accessible through the Cajanuma gates just minutes outside the city. The Rio Zamora and Rio Malacatos flow through the city of Loja. Close to the city of Loja the first wind power station of Ecuador is located with a visitors center and 11 generators. 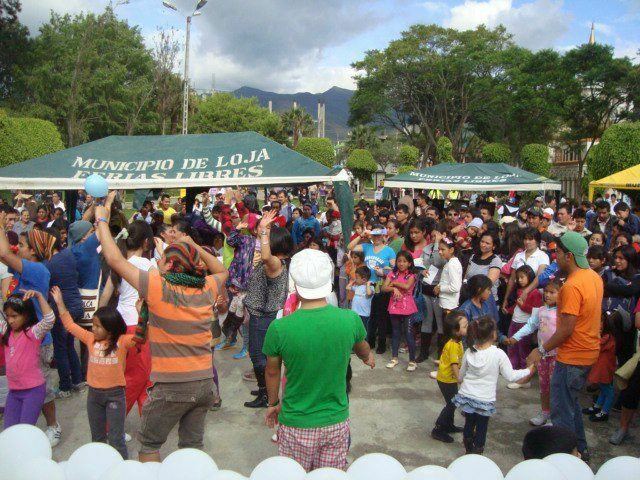 There is a thriving musical scene in Loja, in keeping with the citys reputation. There are numerous small music and salsa clubs, and it is not uncommon to hear Lojanos singing as they go about their day. On Sundays, the local police band performs in the Plaza de Independencia outside of San Sebastian Church. The city is full of public artworks, including massive painted tile murals, frescoes, and statuary. Of particular note are the frescoes of Bolivar and Sucre that greet visitors as they pass through the gates of the city. The gates of the city are modeled after the Coat of Arms of the city, presented by King Felipe II of Spain in 1571. The gate is on Av. 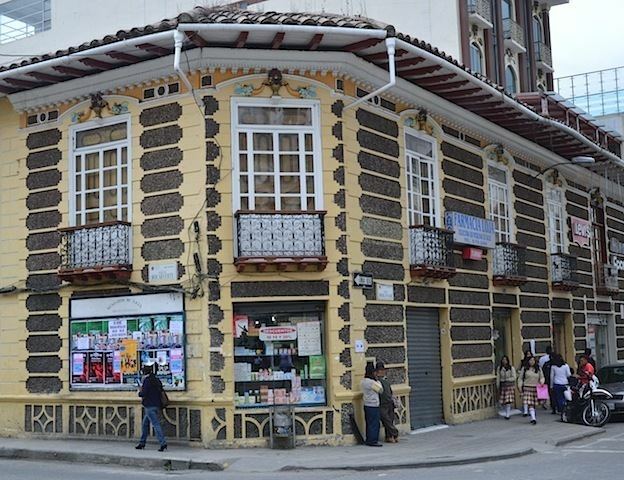 Gran Colombia, and houses four galleries which show contemporary Lojano artwork, and a cafeteria and gift shop. A stunning view of the city is found by climbing the clock tower. Loja contains a number of historic churches; the citys board of tourism has approached finding them in a novel manner. Beginning at the Puerta de la Ciudad, one of the first thing a tourist will notice is a large orange stripe painted on the sidewalk. Following the stripe takes the interested on a self-guided tour of the main historic churches and areas of Loja. The main Cathedral, a masterpiece in the colonial style, is located on the central square. It is home for six months of the year to the Virgin of Cisne, whose statue is carried on the backs of the faithful to and from the town of Cisne, 45 km north of Loja. The procession shuts the road to traffic twice a year, and it is a mark of pride among Lojanos to participate. Original adobe in the cathedral building dates from the 16th century; the current building dates from 1838 (previous edifices were lost to earthquakes. The Cathedral is one of the largest churches in Ecuador. It is the seat of the Roman Catholic Diocese of Loja. The small Church of San Francisco houses the citys Franciscan convent. The church was built in 1548 and then rebuilt in 1851. The plaza, located on the corner of Av. Bolivar and Av. Colon, features a monument to Alonso de Mercadillo, founder of the city. The Church of Santo Domingo was built in 1557; the entire edifice was once in the Gothic style, but after an earthquake in 1867 only the twin spires remained standing. The church was refinished in the colonial style, but the spires were left as a reminder of the former facade. The church was painted and decorated by notable Lojano Fray Enrique Mideros. In the plaza of the church stands a monument to Manuel Carrion Pinzano, a founder in 1853 of the Federalism movement in Loja. In 1660, the city of Loja was consecrated to St. Sebastian in order to prevent destruction by earthquakes. The present church dates from 1900. Perhaps the most notable landmark of Loja stands on the Plaza San Sebastian (also called the Plaza of Independence) - the 32 meter clock tower commemorates the declaration of independence from the Spanish Crown on November 18, 1820. The tower has four faces with brass bas relief depicting scenes from the citys history. There are numerous other monuments to famous Lojanos and Ecuadorians. Central Square contains the monument to Bernardo Valdivieso, the founder of Lojas universities; a monument to Bolivar is housed in a park of the same name to commemorate his visit to Loja in October 1822. A monument to Pio Jaramillo stands on the south end of the avenue bearing his name, and at the junction of Av. Jaramillo and Av. Carrion stands a monument to Benjamin Carrion. A monument to Isidro Ayora stands in the roundabout in front of the bus terminal. For more information on these and other historic Loja residents, see the section on notable natives and residents.